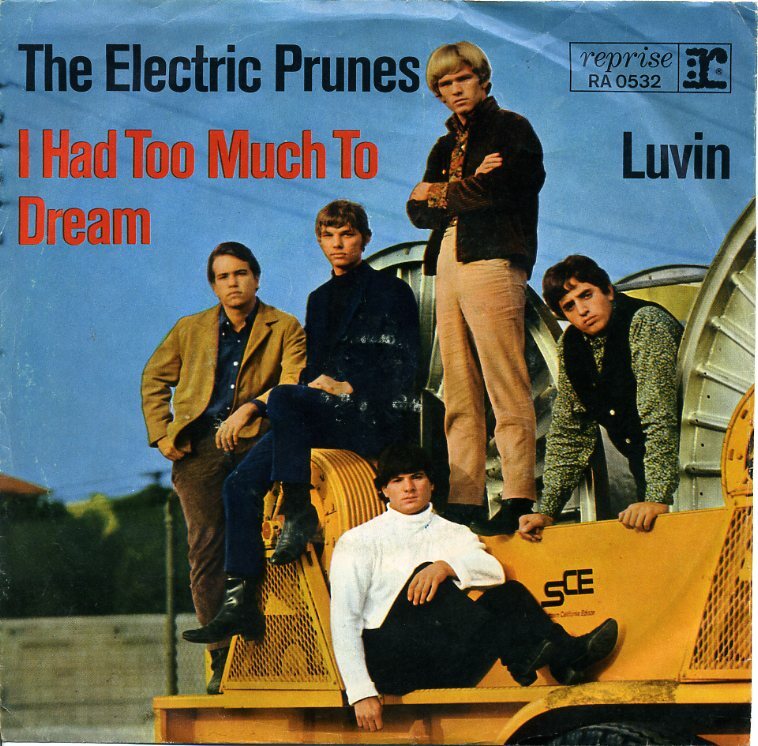 Picture covers for The Electric Prunes singles released in the 1960s have become very rare collectors items. The majority of the covers shown on this page were provided by Heartbeat Productions owner Simon Edwards - thanks Simon! 'Wind-Up Toys' Italian picture sleeve. 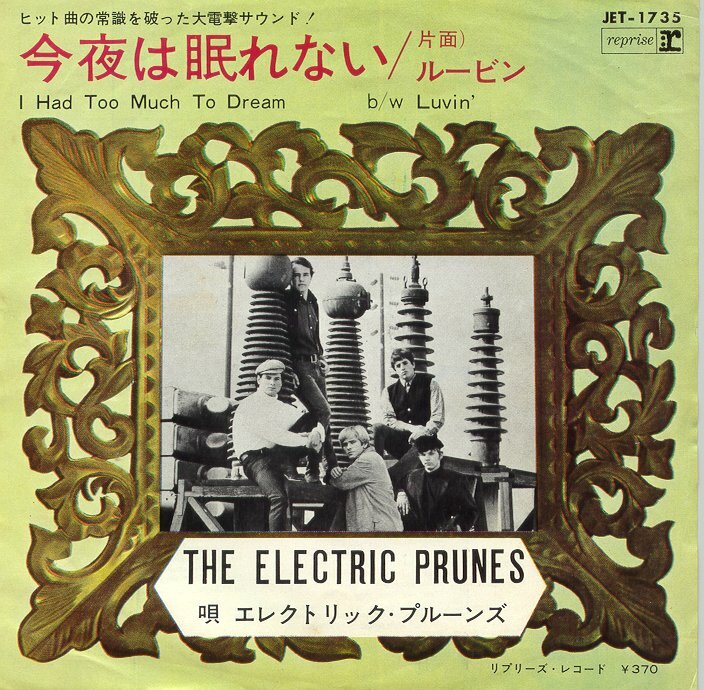 'I Had Too Much To Dream' Japanese picture sleeve. French EP featuring 'I Had Too Much To Dream'; 'Luvin''; 'Ain't It Hard' & 'Little Olive'. 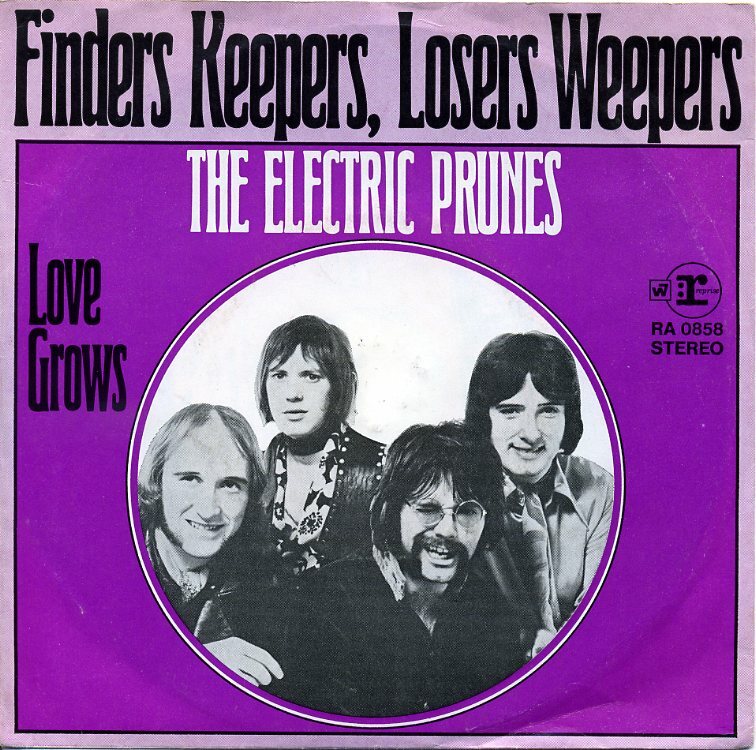 'Finders Keepers, Losers Weepers' German picture sleeve. 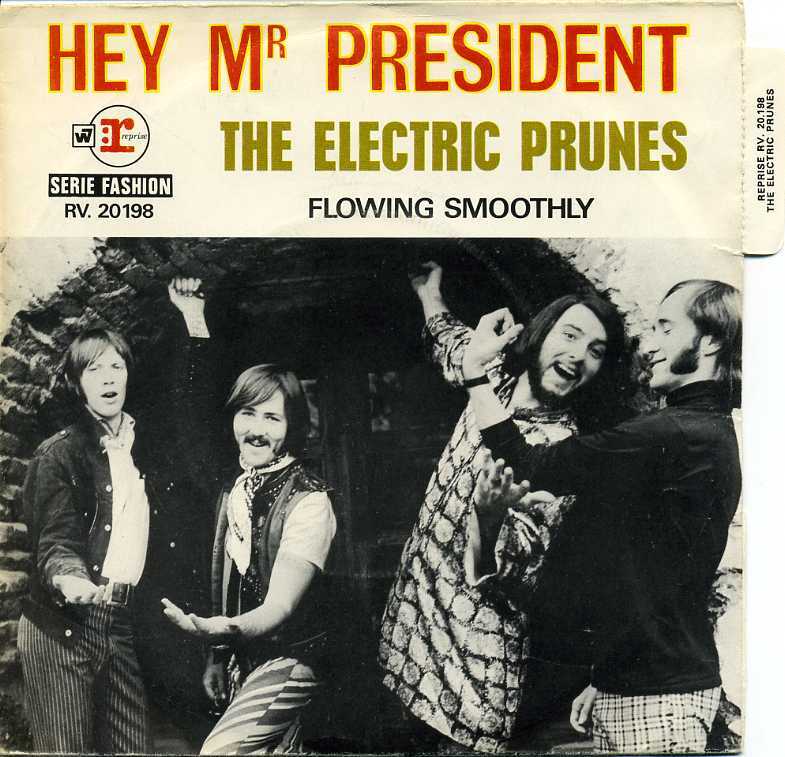 'Hey Mr President' French picture sleeve. 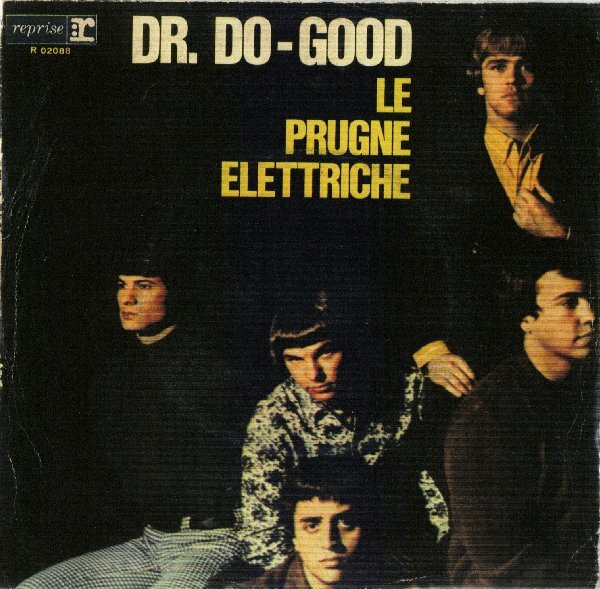 'Dr Do Good' Italian picture sleeve. 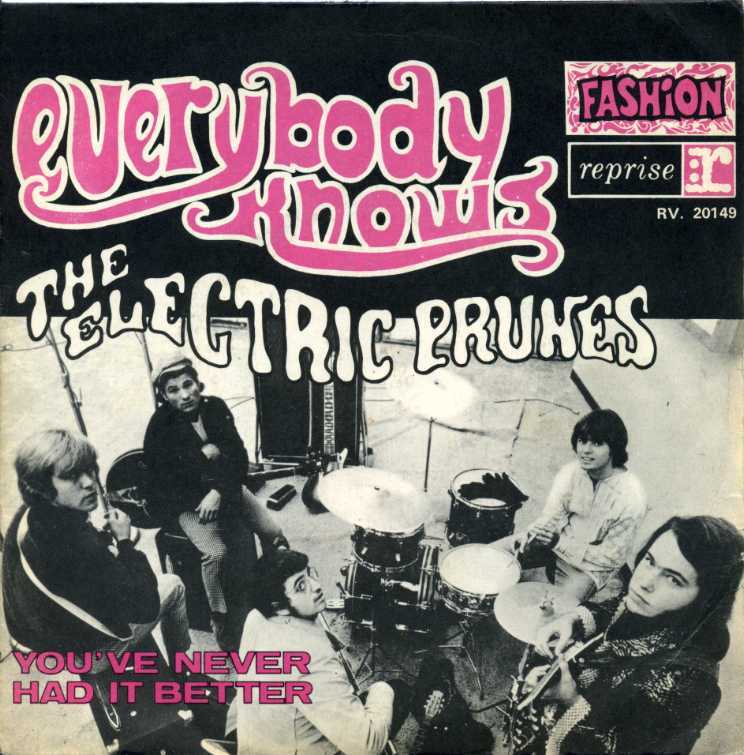 'Everybody Knows You're Not In Love' picture sleeve. 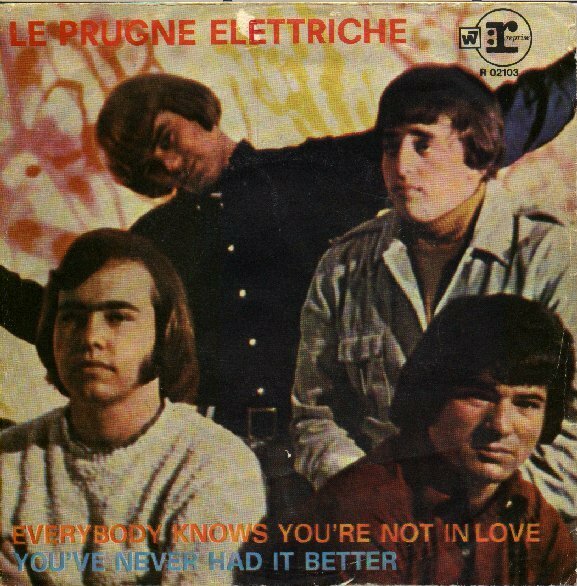 'Everybody Knows You're Not In Love' Italian picture sleeve. 'I Had Too Much To Dream' picture sleeve. 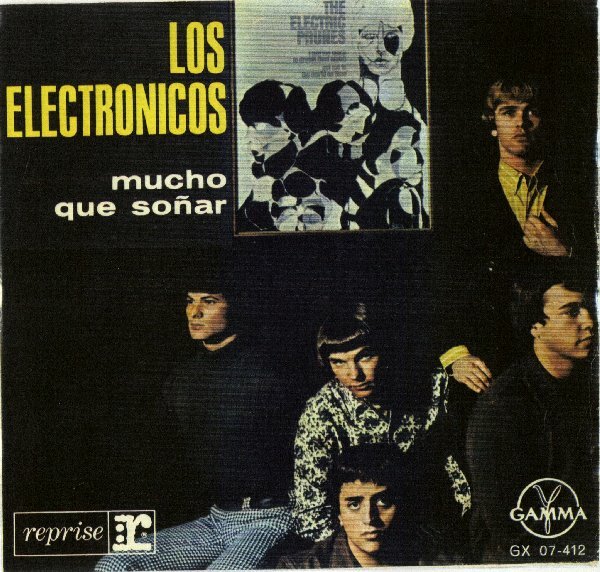 'I Had Too Much To Dream' Spanish picture sleeve. 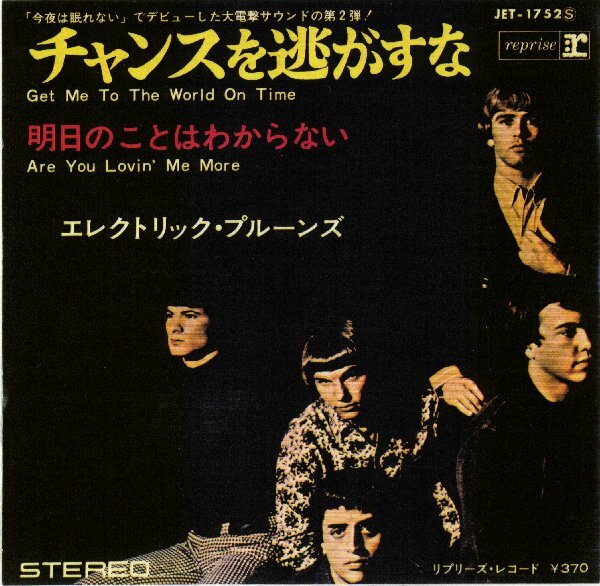 'Get Me To The World On Time' Japanese picture sleeve. 'I Had Too Much To Dream' picture sleeve.